Infants and toddlers grow and learn every day. 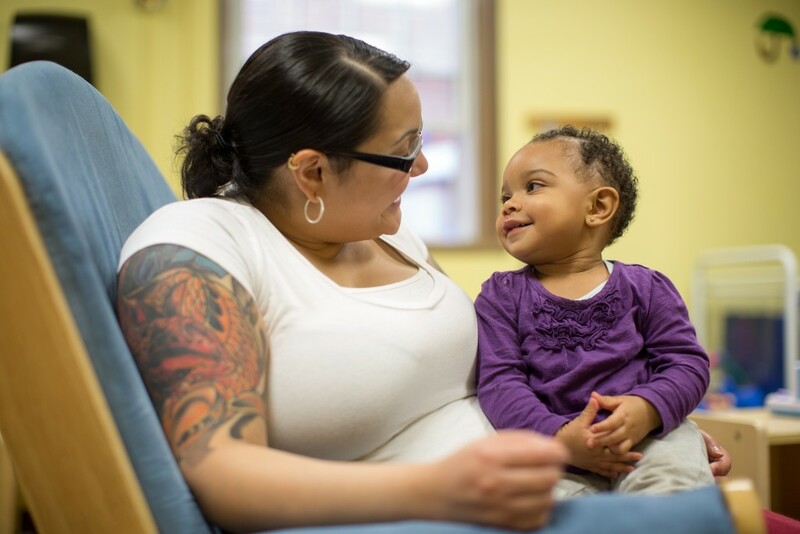 The childcare program for infants and toddlers at YWCA New Britain is designed to provide children ages six weeks to three years of age with a safe and nurturing environment where they can explore and make new discoveries. Infants and toddlers learn about themselves, their feelings, communication, and movement. Children learn through play and acquire the basic skills that will serve as building blocks for a lifetime of learning. While it can be difficult to make this first transition away from home, we are committed to making it as easy and natural as possible. We aim to provide children with developmentally appropriate activities and experiences which will help to enhance their growth and development. For more information on our infant and toddler programs, contact Shermane Fletcher at 860-225-4681 x275 or sfletcher@ywcanewbritain.org, or Virginia Osborne at 860-225-4681 x251 or vosborne@ywcanewbritain.org.